Is the Trump Administration Regulatory Rollback Making Environmental Lawyers Obsolete? Panel on "Natural Resource Extraction and Sustainable Development in North America"
"Energy Law Currents: From the Ground Up"
Polluters Behind Bars: When does polluting become criminal rather than civil? 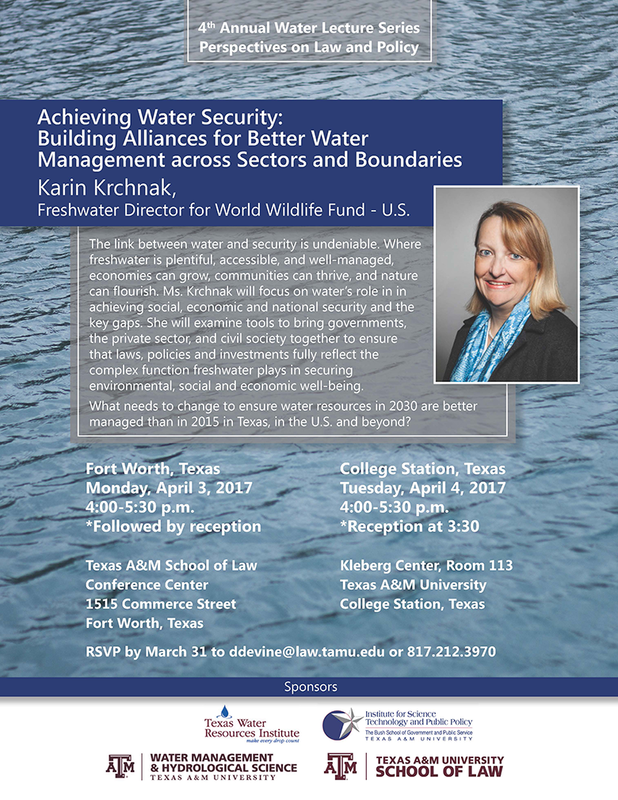 "Environmental Protection -- Carrots or Sticks"
Water Lecture Series: What Can Texas Learn From Integrated Water Resources Management? 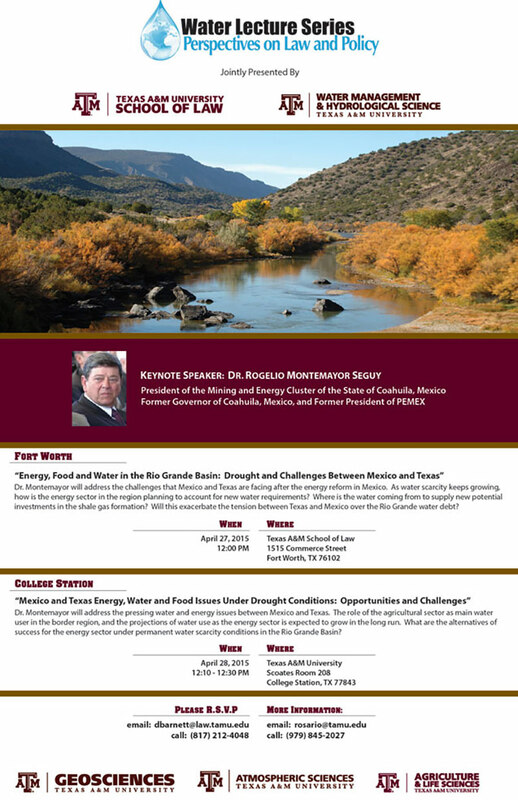 • 2016: What Can Texas Learn From Integrated Water Resources Management? • Once subscribed, you will be able to send an email to the list by emailing natural-resources-law@listserv.tamu.edu. Please join and share all the opportunities.